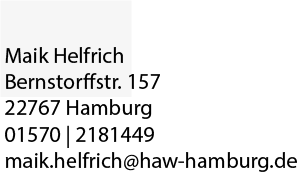 ← auf die fresse, fertig, los! ‚2 boys 1 cup‘ is player-versus-player competitive top-down videogame. 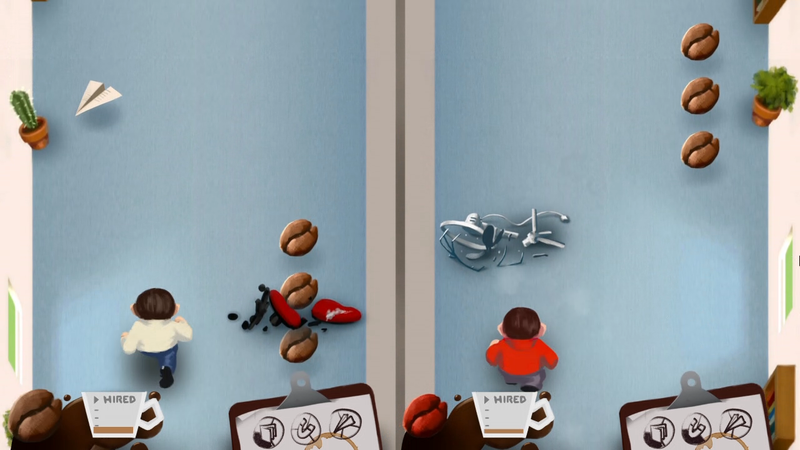 the game is a so called endless runner where the two players must collect coffee beans and avoid obstacles which the opponent can throw in ones way. whoever succeds in collecting 400 beans will win. the games was programmed within one week in april 2014 with the unity3D engine and compiled to pc. it is controlled via two gamepads or the keyboard. it was not made public, yet. as the ceo yells for a cup of coffee, you, a junior assistant who just recently got hired, see your chance to get promoted. but your fellow office worker, just recently hired as well, has the same idea. a brutal battle erupts. who is able to get a fresh cup of coffee and give it to the ceo first? the game ‚2 boys 1 cup‘ has to be played with 2 people at the same time. the view is from a top-down perspective and each player has his/her seperate lane in which the character seems to runs toward the top of the screen while the background scolls downwards. within this lane, the players can position there character on the left or the right side and let him perform a jump. this way they can collect coffee beans or special items like paper planes. they also have to avoid obstacle like pc monitors. these obstacle get thrown in ones way by the opponent. three special items of the same kind grant short-time bonuses and if one player succeds in collecting 400 coffee beans, he/she will win. the players will loose coffee beans they collected if they hit an obstacle thrown in the way by the opponent. if one of the players looses all coffee beans, he/she will loose the entire game. placing obstacle at the opponents lane costs coffee beans aswell. the paper plane bonus item collect 3 of these to unleash a red paper plane onto the opponent. he must not hit it. the magnet bonus item collect 3 of these to pull coffee beans toward you, even from the opponents lane. the folder bonus item collect 3 of these to confuse the oppenent with a rain of paper sheets. the players control the game with one joypad each. the switch the side of your lane press X. to jump press A. you can place obstacles at either side of the opponents lane with the L and R shoulder buttons.